Well-known New York restaurateur Danny Meyer announced recently that he intends to eliminate tipping at his New York restaurants with an across-the-board increase in prices to fund “hospitality.” Meanwhile, fast food workers, nationally, have been fighting for a $15 minimum wage. A recent series in the L.A. Times revealed how farm workers in Mexico—many of them children—have endured rat-infested camps while picking tomatoes. We are all starting to realize that a plate of food is never just a plate of food. There is a whole set of issues beyond gastronomy or “foodie” trends—labor, what to do with food waste, water scarcity, and international trade agreements, to name a few. Food touches almost everything in our society today. “Food studies” is a growing academic field that seeks both to understand and to improve these systems. There’s no question that demand is there. The number of undergraduate degree programs in food studies in the United States is growing. One of the first began at New York University in 1996, inspired by a master’s program in gastronomy (the study of relationships between food and human culture) at Boston University that began a few years earlier. By 2013, there were at least a dozen four-year colleges and universities nationwide offering a major, minor, or concentration in food studies. Hostos Community College in the South Bronx will soon launch a new associate’s degree in food studies, making it one of the first two-year programs in the country to take a liberal arts approach, rather than one of professional development (e.g., culinary or horticulture training). The study of food is no longer a small specialty interest. Student interest has often (though not exclusively) driven the development of food studies. The University of California, Davis’ Sustainable Agriculture and Food Systems major, which produced its first graduates in 2013, was designed by a committee of faculty and students drawing inspiration from the campus’ 35-year-old student farm. At The New School in New York, students often design their own food studies projects in elective courses and the school’s new food studies degree program. 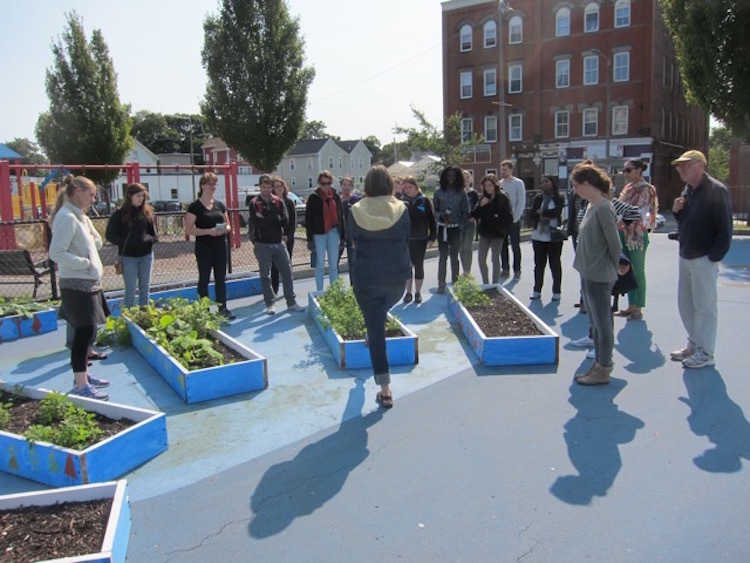 At Tufts University, the Friedman Justice League, a student organization, has been pushing for more courses in food justice—that is, social justice related to food and agriculture—as well as more student and faculty diversity at the Friedman School of Nutrition Science and Policy. Such interest points to the double task of good food studies education. It is crucial for students to learn about the complex issues in the food system—say, the controversy over genetically modified organisms (dangerous to human health or the answer to global food insecurity? ), or the problems of food production under climate change (extreme weather events like drought and floods make agriculture more economically risky, thereby prompting migration from rural to urban areas or across national borders). But it is equally important to help students develop the analytical, interpersonal, and leadership skills to change food systems for the better. How well do food studies programs position graduates to create change? Do they prepare students for work in the growing sector of “good food”? Are the people enrolled in food studies programs representative of those who work for low wages in the food system? Or those most affected by injustices like racial discrimination? Or those who have experienced the economic challenges of agricultural communities? Marion Nestle, a public health expert and NYU faculty member (no relation to the Nestlé food company! ), has written about the parallels between food studies and the food movement, a loose coalition of interests involved variously in a more socially just and ecologically sustainable food system. Scholarly work has been useful to activist initiatives beyond the academy on important issues: for example, improving school food or teaching about corporate influence over agricultural production. In many cases, academics have also engaged with food movements by lending research skills to community-led initiatives, helping to document patterns of food inaccessibility, or providing information needed to successfully advocate for policy change. If food studies is to continue to be responsive to the growing food justice movement, graduates need to be able to translate concepts of social justice and food to post-college careers. This is all the more important for students of color and working-class students who may have experienced firsthand the food injustices that are examined conceptually in the classroom. Studies of food and social justice should help all students understand the dynamics of injustice while also shifting the demographics of both the movement and the related economy. •	First, critical analysis of the food system should be part of food studies courses and programs. Rather than fostering simple mastery of food-system facts (for example, how many more mouths we will have to feed by mid-century), programs should help students develop deep understandings about the social and political structures underlying food and environmental injustices (for example, how global political patterns foster food shortages in low-income countries). •	Degree programs should also be designed to help graduates both obtain and create “good food jobs”—jobs that pay a living wage, offer safe working conditions, promote sustainable economic development, and make healthier food more accessible to all. Food studies graduates may in fact create their own jobs, devising new ways to address food challenges as they evolve. (The New York City Food Policy Center has offered recommendations for how the mayor’s office could create 10,000 new good food jobs in the city by 2020.) Yet while some students may possess the economic and/or social capital to do this, many also face an immediate need to pay the bills. While helping to foster an expanded good food jobs sector, food studies programs should prepare students to identify and obtain jobs that are safe, financially viable, and fair. •	Finally, food studies should be accessible to students whose communities bear the brunt of food inequities—communities of color and low-income communities in both urban and rural areas—so they can gain skills to lead change. Institutions with a higher proportion of low-income students and students of color should consider creating or expanding food-related degree programs. Colleges and universities with existing food studies programs should strive to make entry more feasible for lower income students through targeted grants and scholarships. Food studies faculty should ensure that curricula address the diverse educational and professional development interests and needs of all students. Many of the programs cited here are already doing many of these things. And there is also room for growth. Food studies could thus help respond to the broad need for more socially and environmentally just food systems and help communities that have experienced injustices for too long already. This would be transformational food systems education at its best. Kristin Reynolds is visiting assistant professor in environmental studies and food studies at The New School in New York City, and the author of the forthcoming book, Beyond the Kale: Urban Agriculture and Social Justice Activism in New York City. Julian Agyeman is a professor of urban and environmental policy and planning at Tufts University in Medford, Massachusetts. On Twitter, they are @cultivatejust and @julianagyeman. *Photo courtesy of Kristin Reynolds and Julian Agyeman.